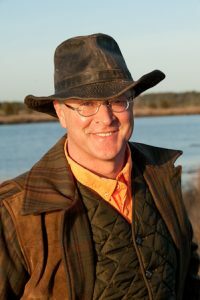 Maryland Eastern Shore native Robert Blake Whitehill is an award-winning author of the Chesapeake-based Ben Blackshaw Series, with a Book of the Month win from Conversations Book Club for the series opener, Deadrise. A highly-rated television writer for Discovery’s true crime programs, Robert also has screenwriting wins at the Hamptons International Film Festival, the Hudson Valley International Film Festival, and the Alfred P. Sloan Foundation. Deadrise, Nitro Express, and Tap Rack Bang are all in development as feature films with HatLine Productions, with Robert adapting the screenplays. Deadrise and Nitro Express are International Top Ten Kindle Best Sellers. Robert joined The Editorial Department in early 2017 to evaluate screenplay potential for our clients and provide editorial guidance and ghostwriting/collaboration support to authors whose novels or narrative nonfiction works have legitimate potential in film and television.